A Celebration of Michael's life will take place 6:00 PM, Sunday, November 4, 2018 at Life Church, 1721 North Charlotte Ave, Monroe, NC, officiated by Pastor Billy Gowan, Pastor Dan Mathieu, and Pastor Gerald Broome. The family will receive friends following the Celebration Service. Michael was born September 17, 1951, in Charlotte, NC, a son of the late Charles Conner and Betty Shackelford. Michael spent his earlier years as an engineer for Duke Energy before pursuing his lifelong calling as a Pastor. Michael earned his Bachelor in Theology before becoming a teacher for Life Christian University. He was also involved with OBX Ministries and Quest Ministries, and was actively involved with Camp Quest in Mineral Springs, NC. A spirit filled Christian who was passionate about mentoring youth, Michael's impact on those around him and his dedication to his Lord and Savior will live on. 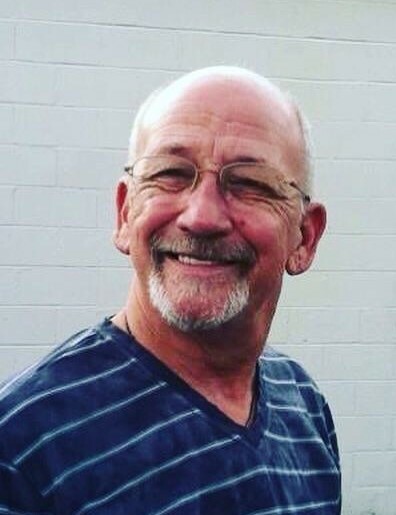 Michael is survived by his loving wife of 38 years, Anne Conner, of Monroe, NC, a daughter, Candace Phelps of Monroe, NC, a sister in law, Sandi Hayes and husband Ron of Monroe, NC, a niece, Hanna Eudy, and nephew, Zackary Hayes, a sister, Brenda Collins and husband Mickey of Mooresville, NC and their children niece Katie and nephew Austin, a brother, Mark Shackelford of Charlotte, NC, a brother, Steve Shackelford of Charlotte, NC a sister, Vicki Shackelford of Charlotte, NC as well as numerous nieces and nephews. Michael was preceded in death by his parents, Charles and Betty Conner. Although flowers are appreciated, the family asks that Memorials in Michael's honor be sent to Harris Hospice, 200 Hawthorn Lane, Charlotte, NC 28204, or Life Church, 1721 North Charlotte Ave, Monroe, NC 28110.